Waitrose in partnership with Cave des Vignerons de Chablis. This wine was blended in April 2018 by the Waitrose Buyer, enjoying the results of a lovely vintage. 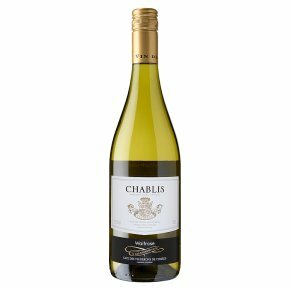 With so much high-quality wine to choose from, our Chablis shows pure citrus fruit flavours and enticing minerality, reminiscent of the ancient fossilised limestone of the region's best vineyards. Elegant and refreshing, the wine is charming now, and will continue to develop in bottle for the next year or so. It's perfect served lightly chilled as an aperitif, or alongside seafood, fish or poultry dishes.